My love for the Muppets, Sesame Street and Fraggle Rock began at an early age as it does for most folks. 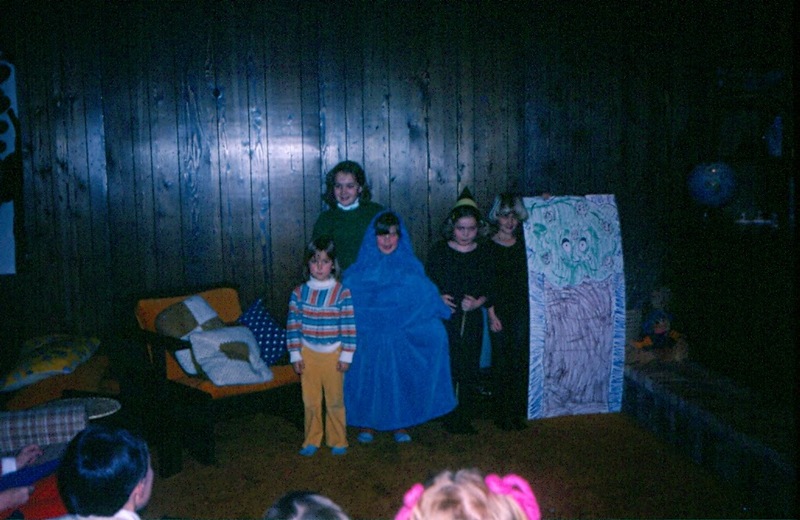 At about the age of six I played Cookie Monster in a rendition of Cookie Monster and the Cookie Tree. See the photo. That is me in my mom's blue bathrobe with a ton of pillows. I have been a die hard fan my whole life and I plan to continue. The statement "I thought we were in this thing together" ~ Fozzie Bear The Great Muppet Caper is one I use in my everyday life and believe it to be an important mantra for any and all teamwork. From the beginning, celebrities have been a part of the Muppets. John Denver was probably the most frequent guest of the Muppet show in the 70's and even collaborated together to make one of my favorite Christmas albums. The celebrity guest list of both Sesame Street and the Muppet Show is a group of who's who if the late 70's, early 80's and even today. You have musicians, Superman, droids, vampires, Rambo and even James Bond made an appearance. There are the cast lists for both the Muppet show and for Sesame Street. Totally check them out. I remember many of these guest appearances but not all. I have to get out my original Muppet show on DVD. Jim Henson died in 1990 and things in the Muppet universe changed a bit. Henson, as the originator of all things Muppet carried the theme of love and understanding through the various universes he created. There have been several incarnations of the Muppets since then and Sesame Street continues to educate children worldwide. I confess I do not watch Sesame Street any longer but I do watch all of the Muppet movies. In the last few years there have been two Muppet movies come out. I loved The Muppets that came out in 2011. It was sweet and funny and reminded me of the original Muppet Movie. The other movie just came out and was Muppets; Most Wanted. I have thought about this quite a bit and I have been trying to figure out why I liked Muppets so much more. Unfortunately, I feel that the most recent movie, Most Wanted while funny was missing one thing, Heart. The Muppets which was written by Jason Segal was far Superior to Most Wanted. Perhaps it was Segal, perhaps it was something else. Either way, I hope that they bring back Jason Segal to be a writer on the next picture. I think he provided what was lost with Henson's death, Heart. To me, love, compassion and humor are what make the Muppets so special. I liked Most Wanted but I hope the next incarnation has more love and compassion. 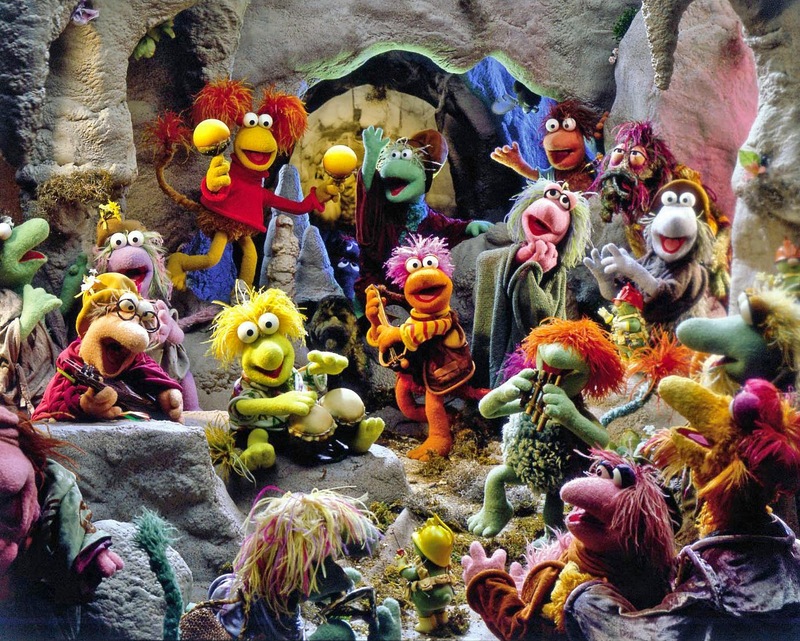 Think Fraggle Rock instead of Pixar flicks.